Slobber straps attach the reins to the bit and act like a hinge. Because of the weight of the leather, slobber straps give the horse a pre-signal that you’re about to make contact with the bit and they release quickly to give the horse an instant reward when he does the right thing. 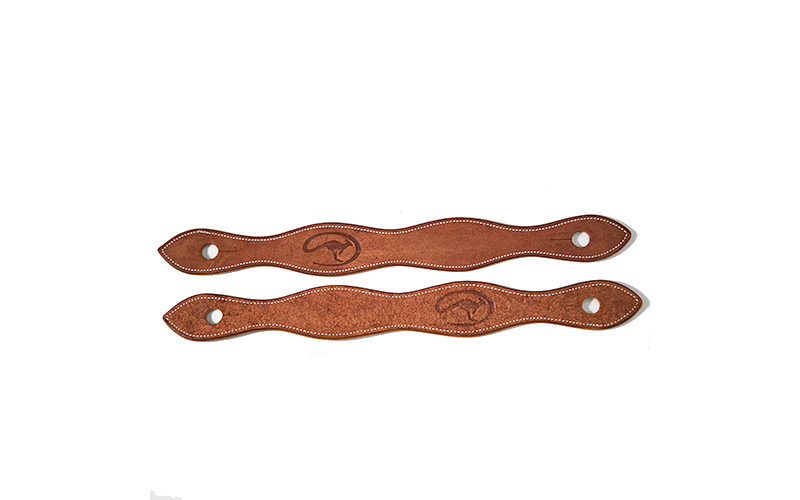 Our plain slobber straps feature the roo logo and are available in a one-piece or two-piece style and come in three colors: chestnut roughout, chocolate or harness. If you often change bits on your bridle, you’ll want the two-piece style as it allows you to change bits without untying your reins.